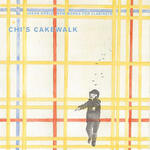 Chi's cakewalk : [eScore] / Gerard Brophy. Commission info: Written during a residency with The Queensland Orchestra for John Harrison, the orchestra's principal bass clarinet. Score: Chi's cakewalk / Gerard Brophy.